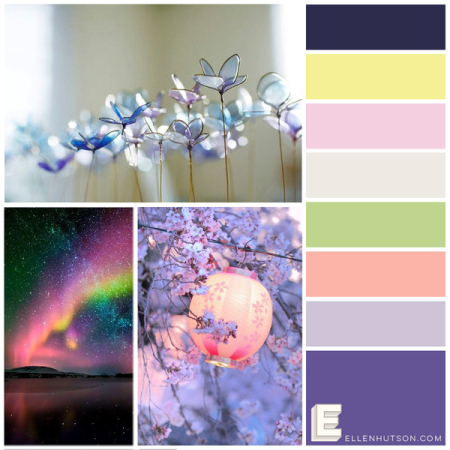 Ellen Hutson’s October Mix It Up Challenge incorporates products from Essentials by Ellen and Altenew. 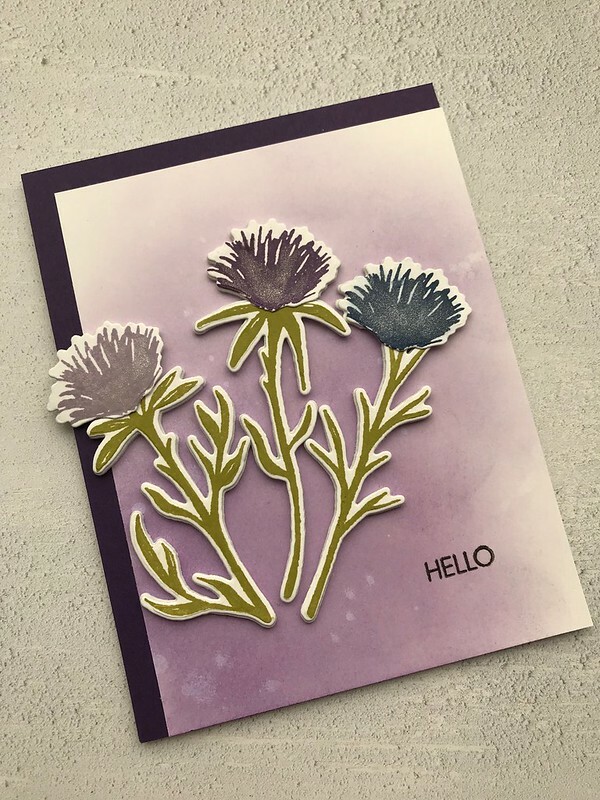 I decided to use the Floral Shadow stamp set from Altenew. It features large, solid floral and foliage images. I chose two ot the floral and leaf images as my focal point and stamped them in a bold, deep raspberry ink. 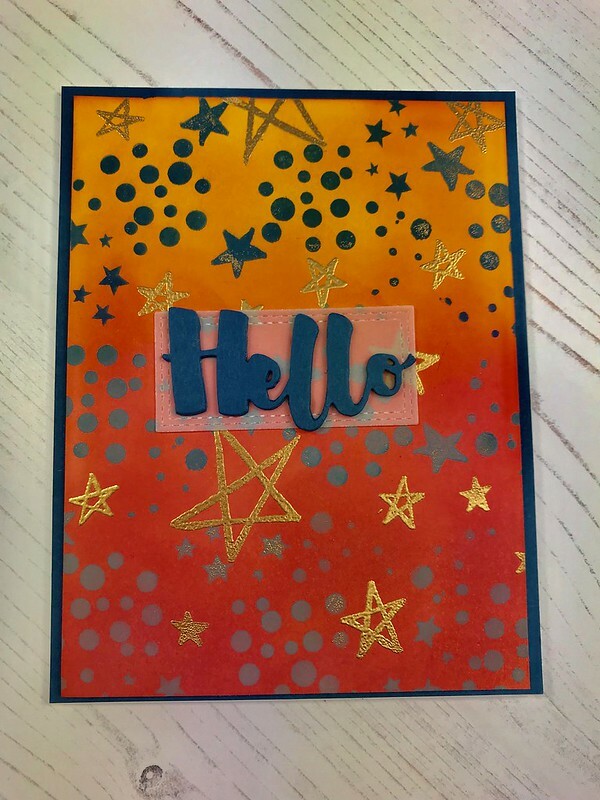 I used my MISTI stamping tool when I inked and stamped them a couple of times. I wanted to insure that I had good, solid impressions. The color of the flowers is rich and bold, so I decide not to add other colors or things that might detract from the design. 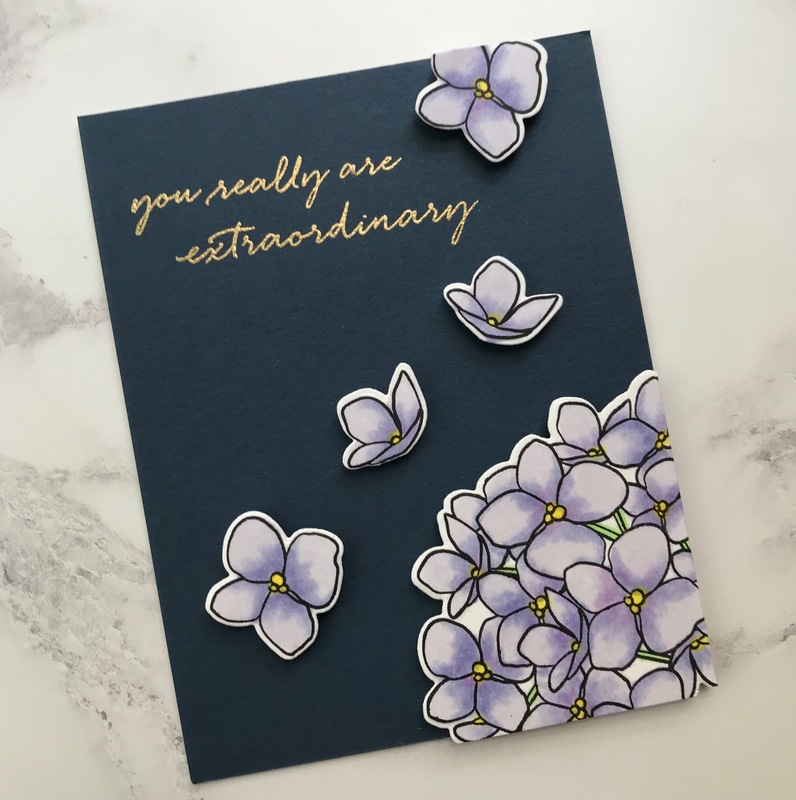 I wanted the flowers to really pop against the front of the card, so I emphasized this by matting the card front against black cardstock. 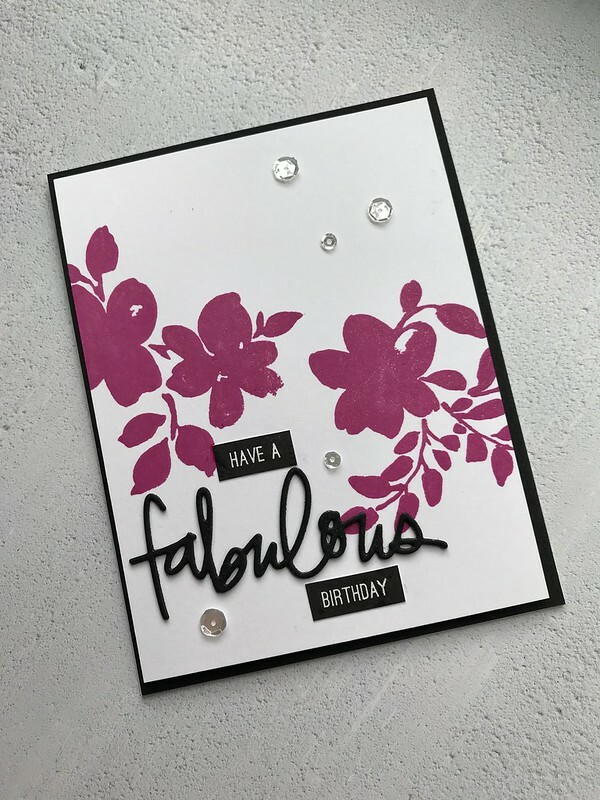 I love the sophisticated look of the handwritten “fabulous” sentiment die. 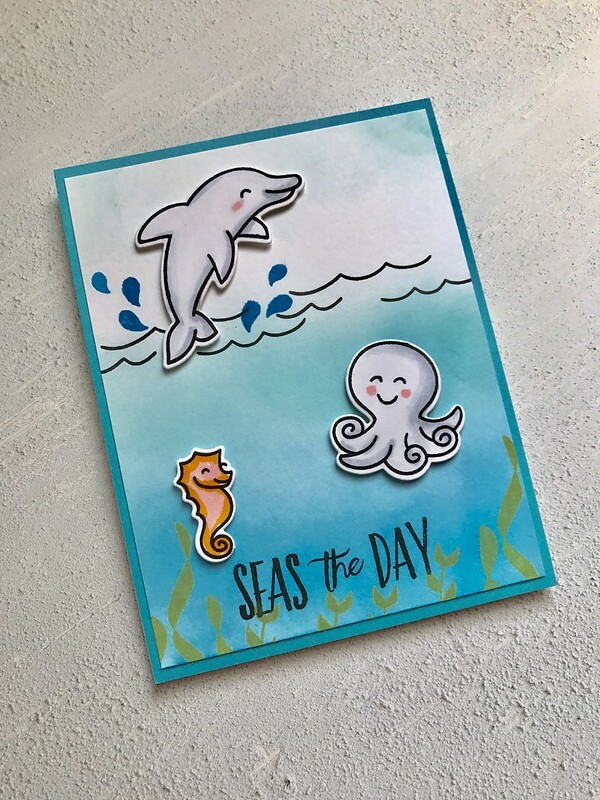 I die-cut the word three times from the same black cardstock and glued all three pieces on top of each other for more dimension before adding it to card. 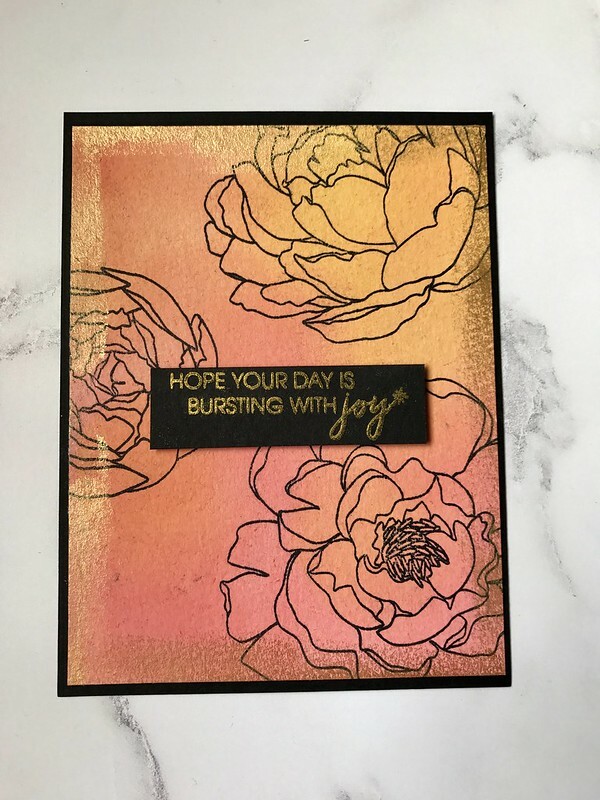 I also added 2 small label sentiments, stamped in black, to complete my sentiment. 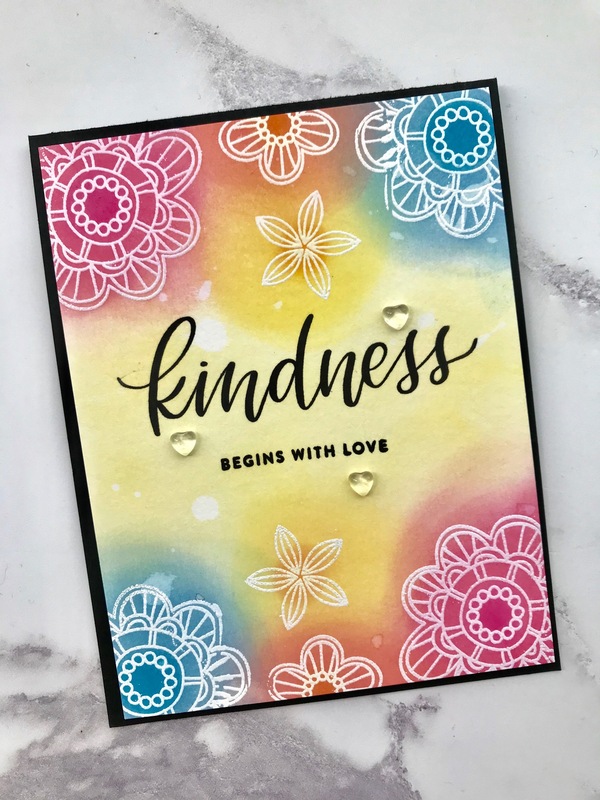 A few clear, sparkling sequins were added for a slight bit of shimmer and I “colored” the flowers using a clear, Wink of Stella glitter brush pen to up the glitz a little more. I’m really happy with the results, my project is bold and striking and uses a minimum amount of color and fuss. Wink of Stella Glitter Brush in Clear. Pretty Pink Posh Sparkling Clear Sequins (assortment).